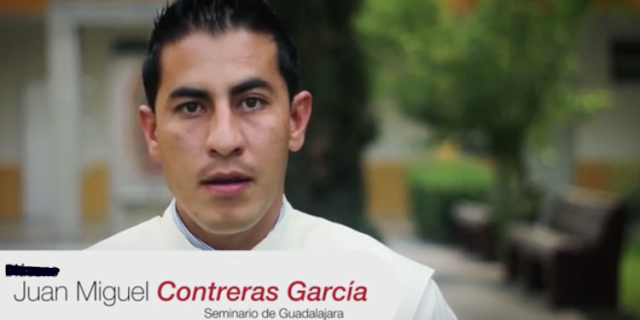 On Friday, April 20, the young priest of 33 years, Father Juan Miguel Contreras García, was shot dead in the municipality of Tlajomulco de Zúñiga. He carried out his pastoral work as vicar of the parish of San Pío de Pietrelcina and would have completed two years of priestly life on May 15. The perpetrators who murdered the Priest were in the parish office, while imparting the sacrament of reconciliation. This land is home to the bloodiest drug cartels in the history of the state. The escalation of violence and disappearances has been denounced by the Catholic Church. A few days before the start of the electoral campaigns, the State saw with great concern how homicide rates rose to 37 deaths in a weekend in March. Enjoy your Eternal Reward Father! May God bless and keep you with Him for all etrrnity!!! Thank you for your vocatiom to the priesthood..you are precious! Another Catholic martyr. May he intercede from heaven for the end to the drug cartels in his country. Good thing Mexico has such strict gun laws proving the old adage once again, if you outlaw guns, only outlaws will have them---not that Father would have used one, but the point should be obvious. May he rest in peace. To the perpetrators. You can kill priests, but you cannot destroy the church, for you are fighting against GOD. Many have tried to for the many centuries. 70% of Popes in the first three centuries were martyrs , but today there are 3 Billion Catholics. What happened to the killers....many died horrifically. May he rest in peace. May his innnocent blood bring peace to the continent. Unfortunately the guns that killed this priest and many other brothers and sisters come from the US.